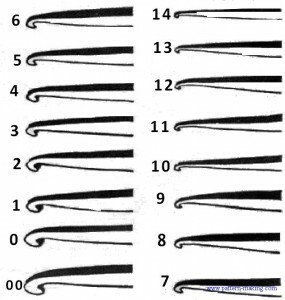 crochet hooks used vary in size according to the item to be made and thread used. the largest, usually made of wood, hone or plastic are more desirable for heavier yarns and cottons; the smaller steel hooks are best for finer threads. aluminum crochet hooks are also available. 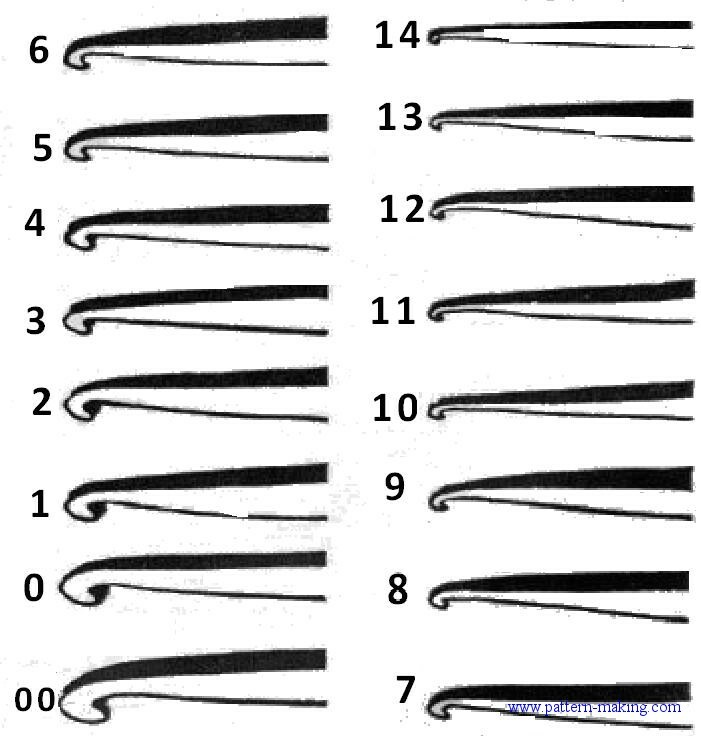 the afghan crochet hook is longer than the average and of uniform thickness throughout. crochet threads vary as to twist, size and color. always use thread recommended in directions, if possible, and buy enough to complete article, especially when working with colors. the finer mercerized crochet threads are more suited for the delicate designs used for tablecloths, doilies, edgings and accessories: yarn is best for sweaters, afghans, blankets, baby ensembles and other fashion items. 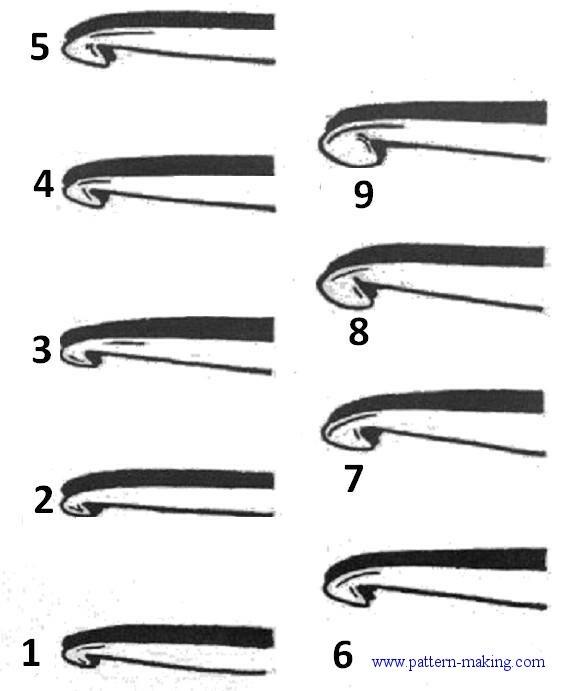 A stitch gauge is often given at the beginning of directions. this means the number of stitches worked to an inch and number of rows to an inch. practice making a small swatch with size hook and thread suggested. to gauge your stitch, make a chain about 4 inches long and work in desired pattern for about 3 inches. as no two people crochet alike, it is not uncommon for your gauge to vary from the one given. if you take more stitches per inch than those given, use a larger hook, or if fewer sts result to the inch, use a smaller hook. to turn work-a certain number of chain stitches are added to the end of each row to bring work in position for next row. the work is turned so that the reverse side is facing you. the number of chains to make depends upon the stitch with which the next row begins. here is a list of turning chains: sc hdc or sdc dc . tr dtr tr tr ch i to turn ch 2 to turn ch 3 to turn ch 4 to turn ch 5 to turn ch 6 to turn stitches can be made through both loops of stitches of previous row or through the back loops only. if not specified, take up both loops. 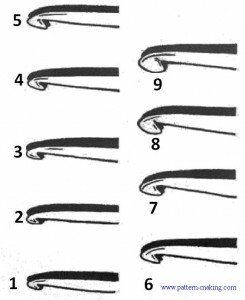 the term “fasten off” is used in directions whenever the thread is to be cut 6 or 8 inches from the work, slipped through the lp on hook, pulled tight and then it is fastened securely on wrong side of work by weaving in and out of work.